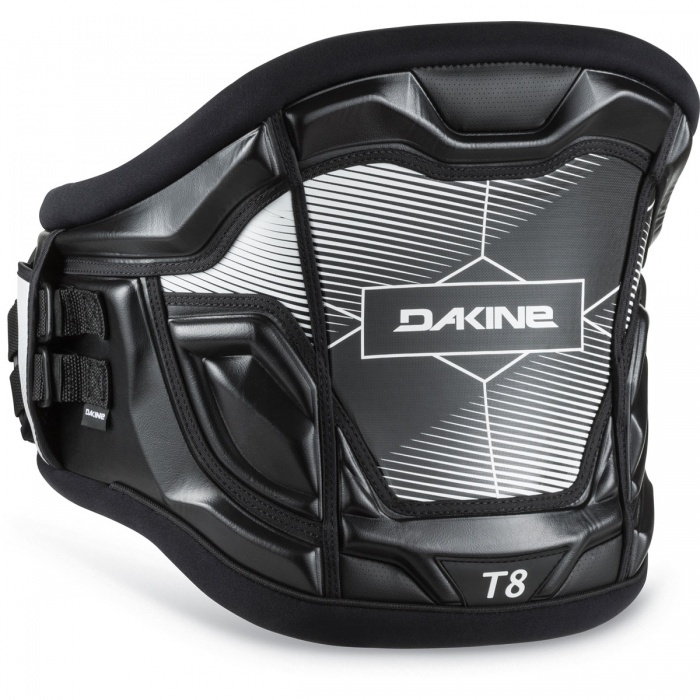 Dakine T8 Harness vs T8 Classic: The classic T8 comes with Dakine’s long used Posi Lock sliding belt system where the new T-8 comes with their Push Button quick connect fixed position spreader bar. 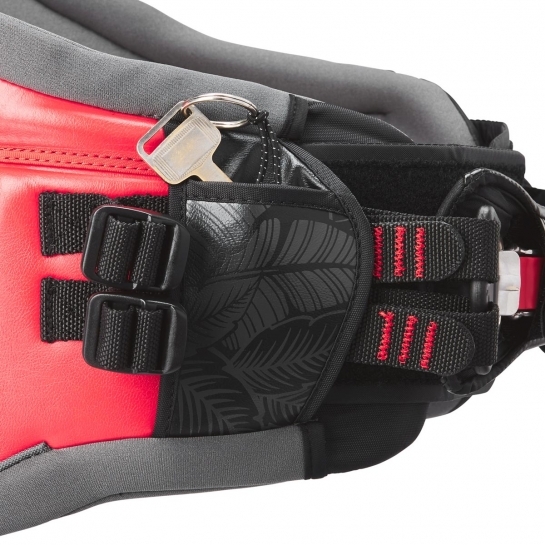 The Push Button does not slide at all but it is compatible with the maniac spreader bar and option spreader bar for those who want the ultimate locked in feel with a sliding spreader. 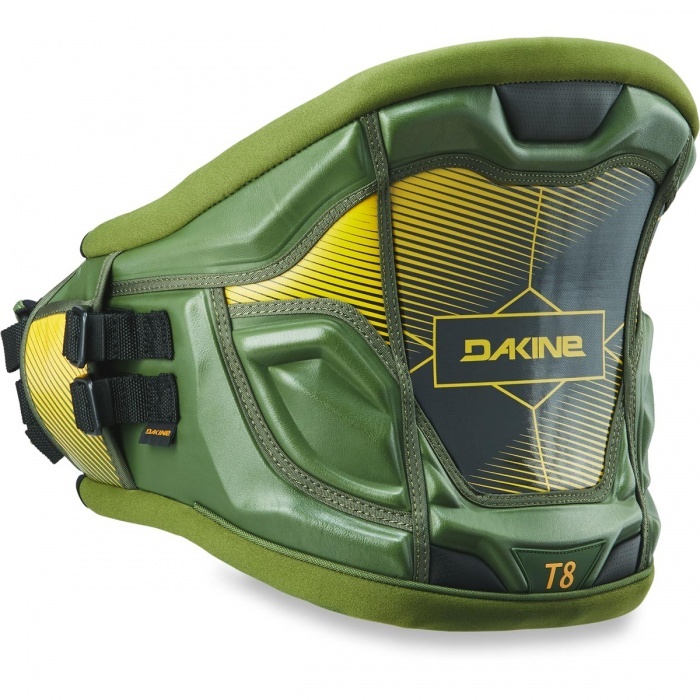 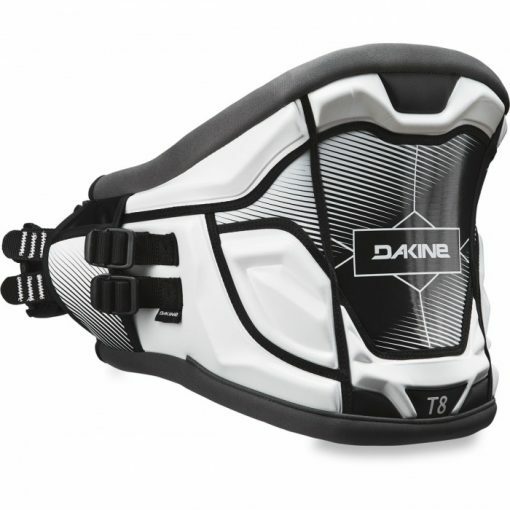 The Dakine T8 harness is the latest and greatest in the T series. 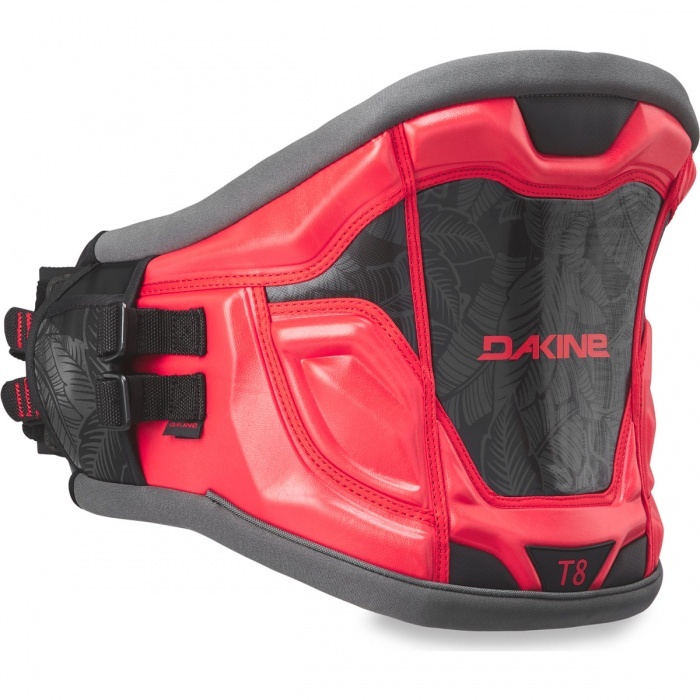 The major update in this year’s model is the addition of the still Adaptive Fit Composite back panel with Texon® counter/stiffener, for a premium fit and feel with all the rigidity and support you’re looking for. High-rebound memory foam pillows are strategically located in the rib zone and spine for comfort, while the back panel features a silicone print pattern and EVA foam to keep the harness in place. It’s also designed with a generously wide profile and pre-curved back panel, for maximum support and comfort. 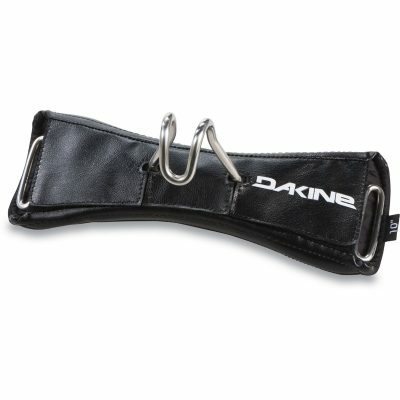 The easy-in/easy-out Push Button spreader bar. Dakine has been adding Texon® to Kitesurfing harnesses for the past few years and it is a great addition to the windsurf line. 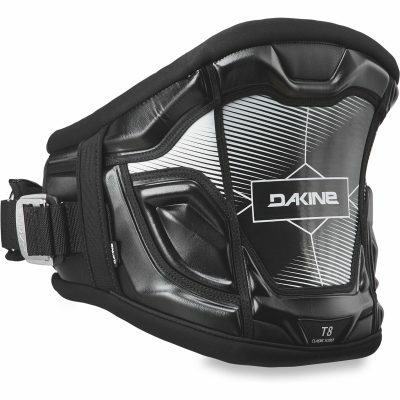 The stiff back plate prevents the harness from squeezing your sides while under load so that you can ride longer and more comfortably than ever before.